Sugar is delicious, (possibly) addictive, and the star ingredient in some of the best foods on Earth: donuts and ice cream, among many, many others. But it's also basically the devil in white powder form; sugar is at least partially responsible for the obesity epidemic, heart disease, and type 2 diabetes. It messes with your hormones and brain, and people eat too damn much of it -- more than double the recommended daily amount. That all sounds dark and scary, so thank goodness for natural and healthy sweetener alternatives like agave, right? Actually, agave is worse for you than sugar in a lot of ways -- even though it's often touted as a health food. Don't be fooled by the fancy packaging, or claims that it's made from the antioxidant-rich blue agave plant. Agave nectar is basically a hipper, more expensive version of high-fructose corn syrup. According to most health experts, wellness warriors, and science, HFCS is basically the worst of the worst. Here's why agave syrup should be avoided, or at the very least, pulled from the health-food section of the grocery store. Agave syrup, also known as the slightly more whimsical "agave nectar," is a sweetener processed from the agave plant. A lot of good, low-cal tequila also comes from the agave plant, so it can't be that bad, right? Well, it's a pretty long road from the beautiful blue plant to your grocery store. Juice is extracted from the agave leaves, filtered, and heated to break the carbohydrates down into sugar. The remaining substance is a thick, syrupy liquid (slightly thinner than honey), ranging in color from light straw to dark molasses. To make it sound even healthier, agave is sometimes marketed as a raw food because it's heated under 188 degrees Fahrenheit. (It's also marketed as being gluten-free, which, duh.) Agave syrup is sold commercially as a sweetener, and used by consumers mostly for beverages like coffee, smoothies, and cocktails. Why do people think it's healthy? Like hemp protein and gluten-free anything, agave is one of those staples you'll find in your weird cousin's fridge next to the green juice and almond milk. It earned this reputation because agave is low on the glycemic index (GI), meaning it doesn't spike and drop your blood sugar as quickly as, say, white sugar. It was even thought to be a better option for diabetics, and at one point was given the green light by doctors and nutrition experts as a healthier sugar alternative. "It is true that agave has a low glycemic index," says obesity medicine specialist Dr. Nitin Kumar of the Bariatric Endoscopy Institute. "However, GI is not everything – metabolism is complex, and there are so many factors that affect whether a sweetener (or any food product) is better or worse than an alternative." Doctors nowadays know better, and the cons of agave far outweigh the pros. 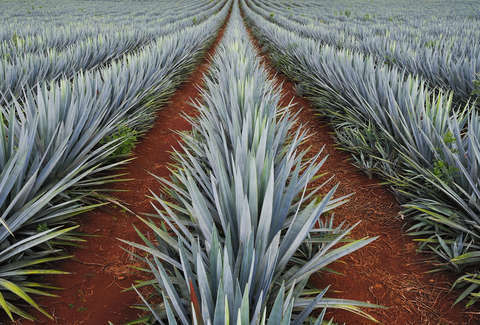 When agave is processed to make syrup, what's left is mostly fructose -- anywhere from 70-90%. Fructose is fine when consumed as a component of whole foods, like fruit, but on its own can have pretty negative health consequences. "Fructose is converted into fat fairly efficiently, and this can result in weight gain," Dr. Kumar says. "Therefore, there is increased risk of metabolic syndrome, insulin resistance, and fatty liver disease. Basically, a lot of the downsides of high-fructose corn syrup apply to agave nectar." Which makes sense, since "high fructose" is right there in the name "high-fructose corn syrup." It would be great if there were some miracle sweetener alternative that tasted fantastic and had zero negative consequences, but both life and sugar just don't work that way. In the end, sugars are basically all the same; they should be consumed in moderation. The FDA recommends a maximum of 25g of added sugars per day, which works out to about 6tsp -- and you're better off using less. That said, Dr. Kumar recommends plain old table sugar over agave, and stevia or Splenda for people looking to cut calories. Is it time to ditch agave altogether? Probably, but a little here or there won't hurt -- especially if you see it listed as an ingredient in a cocktail. Just be aware of the false impression that dumping agave on everything is somehow good for you. Christina Stiehl is a Health and fitness staff writer for Thrillist. She just threw out her agave syrup (to be fair, it was about three years expired). Follow her on Twitter @ChristinaStiehl.